The best way to get your sign noticed, especially at night, is by using the latest lighting technology. At Rapid Signs, we offer state-of-the-art solutions for illuminated signs, from channel lettering and electronic message boards. 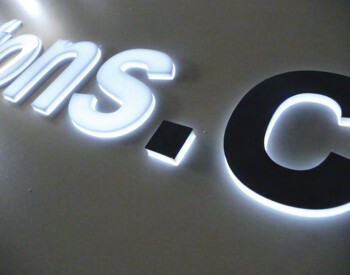 We can produce illuminated signs in any shape and size to make your brand the center of attention. 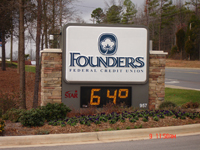 Digital reader boards, channel letters, push through illuminated letters and push through graphics, and illuminated panels are among the many solutions we can show you. We will work with your local guidelines and ordinances to find a lighting solution for your sign that makes you stand out in the dark! Rely on our team to find the best solution for illuminating your sign at night, or incorporating a lighted message board into your sign. The lighting on your sign can be high impact visually and low impact on your budget and the environment. We have access to industry partners that know the latest fabrication techniques to incorporate the brightest, most cost-effective, long lasting and low maintenance lighting into your sign.